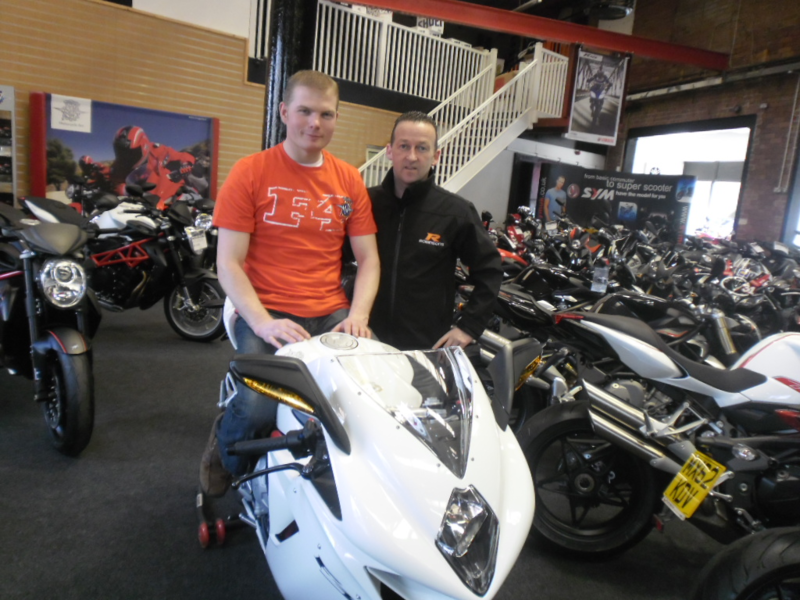 Northern Irish racer Ryan McCay will partner up with Robinsons of Rochdale for the 2013 road racing season in a deal that will see the return of the legendary MV Agustas to the Isle of Man TT. The Manx-based racer will compete at the North West 200, TT and Ulster Grand Prix on a pair of MVS; a F3 675 in the supersport class, and a F4RR in the superbike and superstock classes. The F4RR will be the same as the bikes Tristan Palmer and Harry Stafford will race for the team in the National Superstock championship. Manager Steve Rostron admits the project is an ambitious one though he is confident the additional backing from the manufacturer and the technical data the team will collect from the machines at British Superbike meetings throughout the year will see the bikes prove competitive on the roads. “I am so excited and thrilled to be part of an exciting project both for myself and the Robinsons MV Agusta UK team” explained Ryan "and with the experience of Grant Racing on hand it is really the icing on the cake. I really cannot thank enough Steve, Bob Grant, MV Agusta UK and Peter Sutherland of Scottish firm Kinpac who have made this possible"